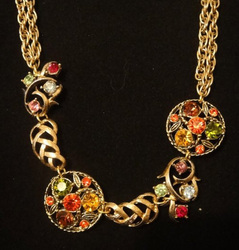 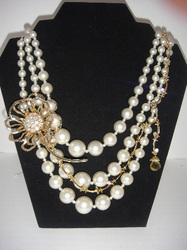 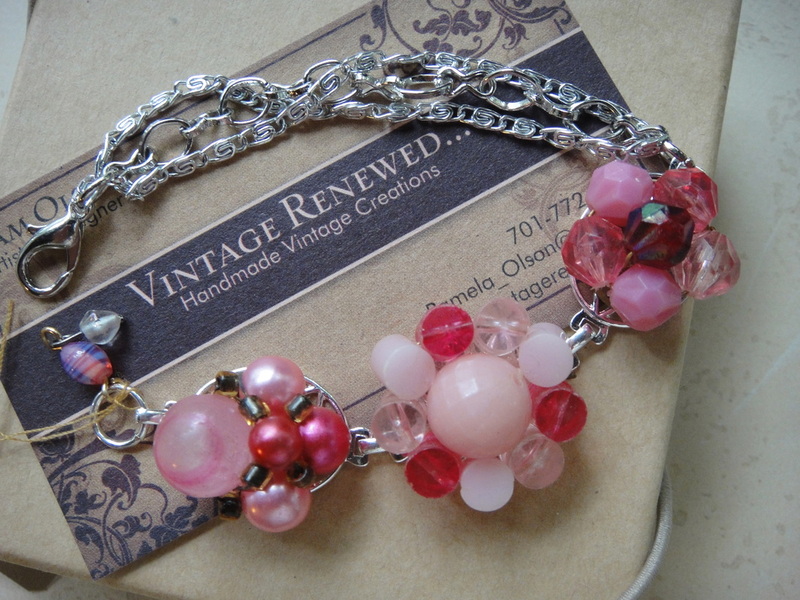 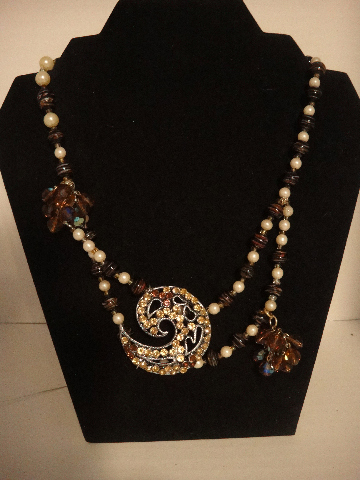 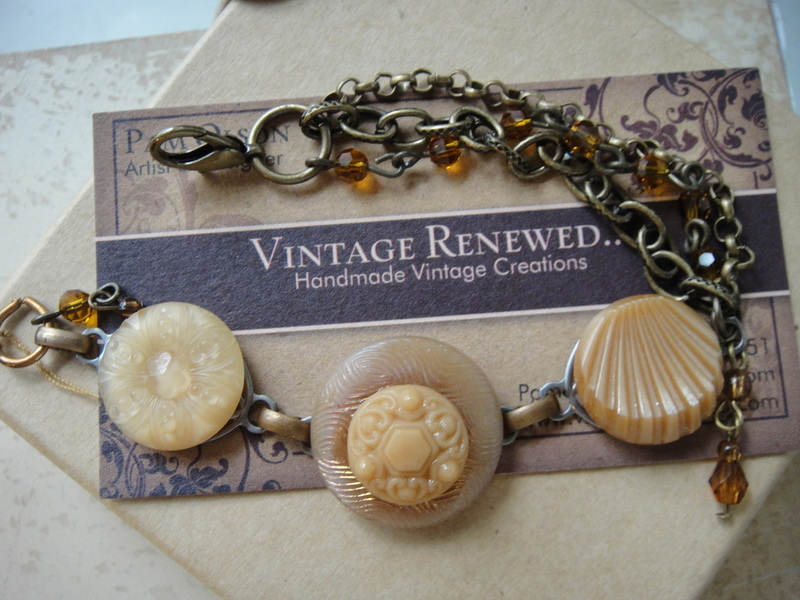 Vintage Renewed offers a large variety of necklaces and bracelets to match everyone's unique tastes! 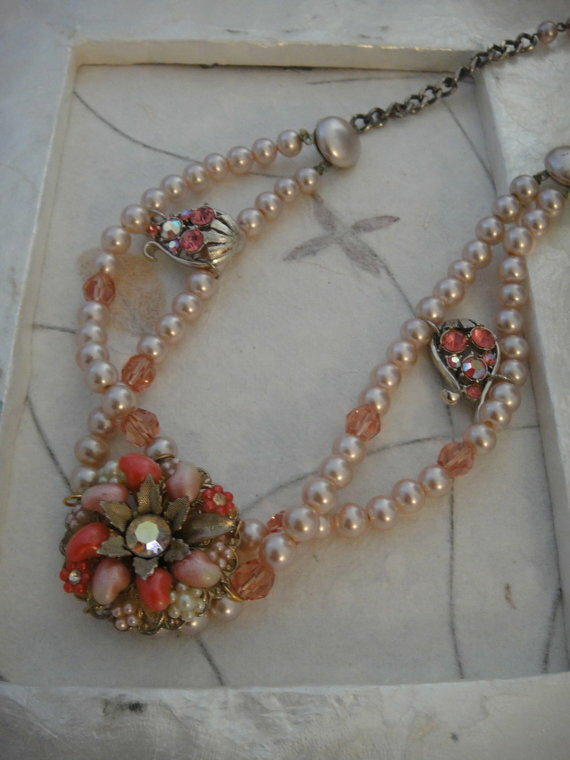 My simplicity line of necklaces are made using vintage broaches, earrings and other pieces and renewed into wearable pendants. 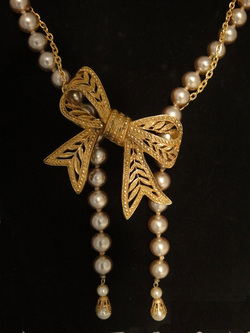 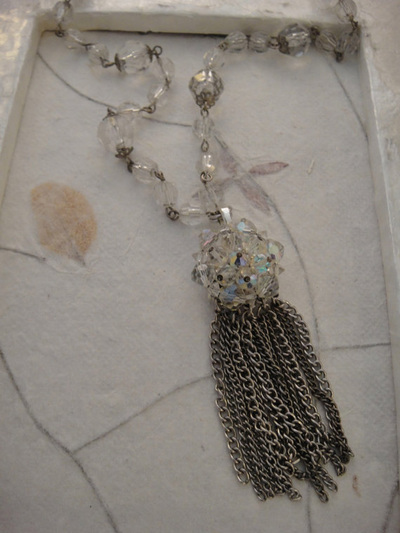 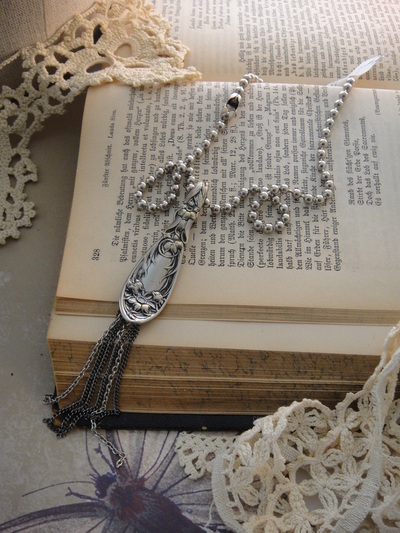 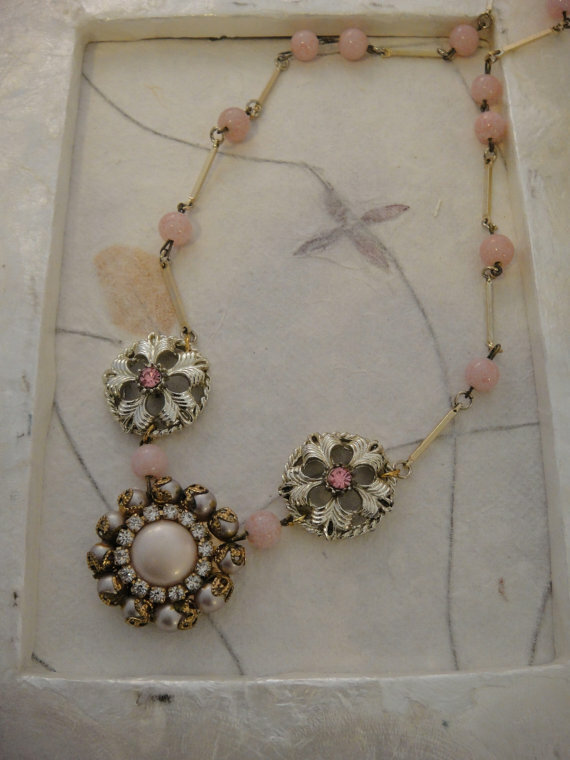 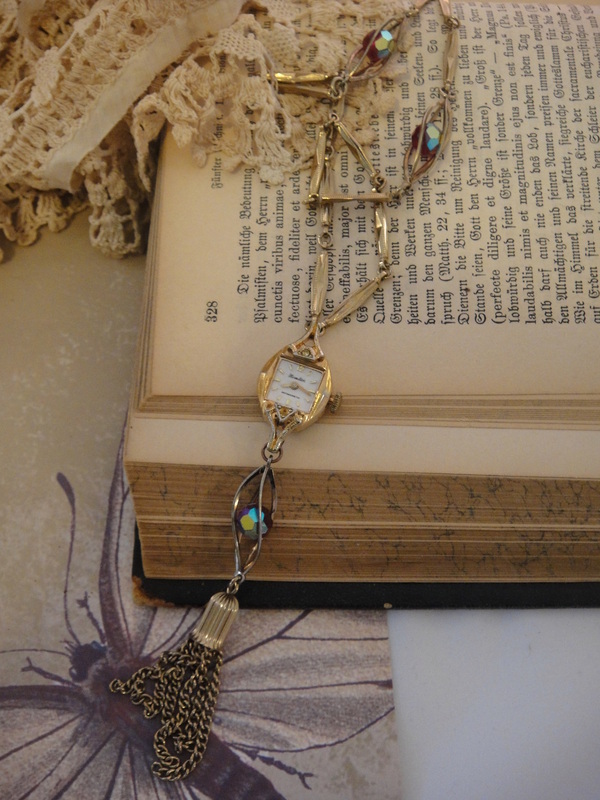 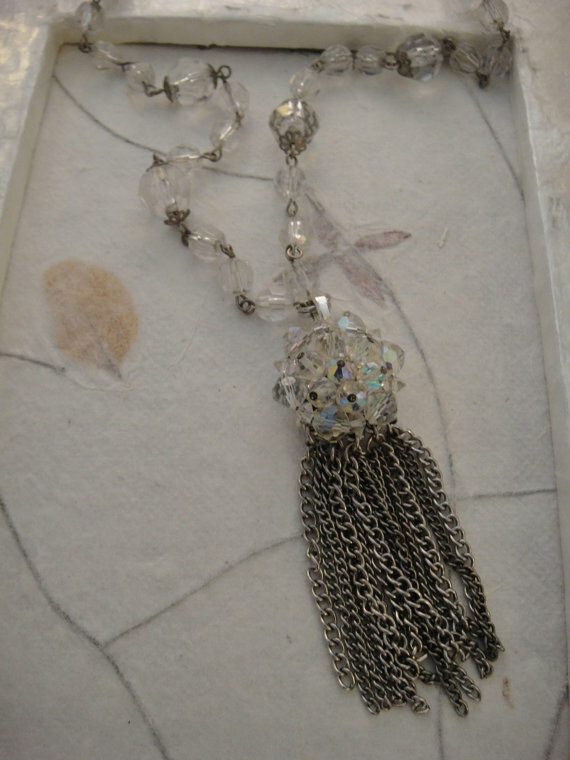 All pendants come on a coordinating necklace made of quality ribbons and laces. Each piece is completely unique...there are no two alike. My statement collection caters to the more elaborate tastes, with many pieces of vintage jewelry renewed into a timeless, classic wearable work of art. 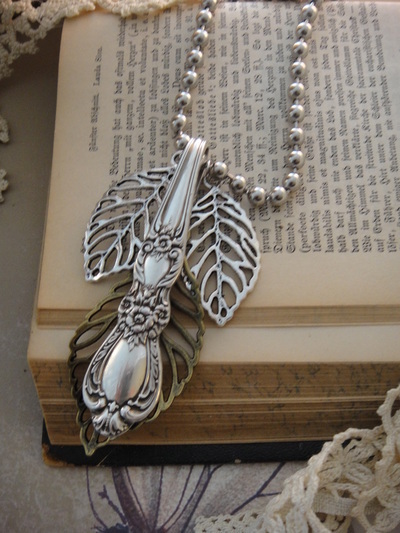 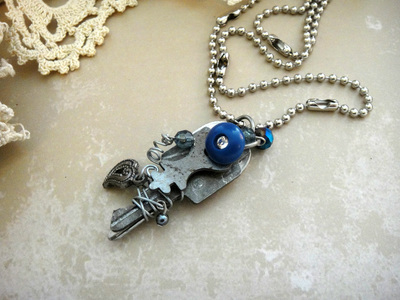 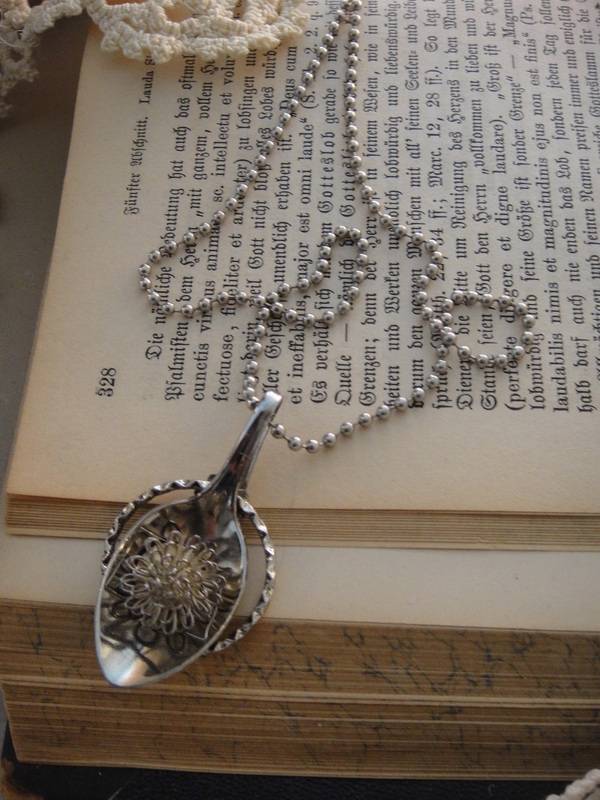 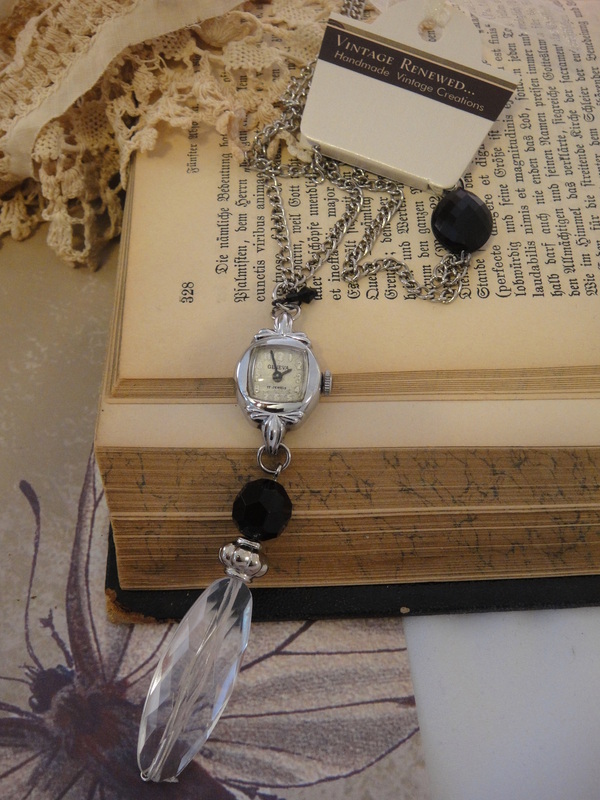 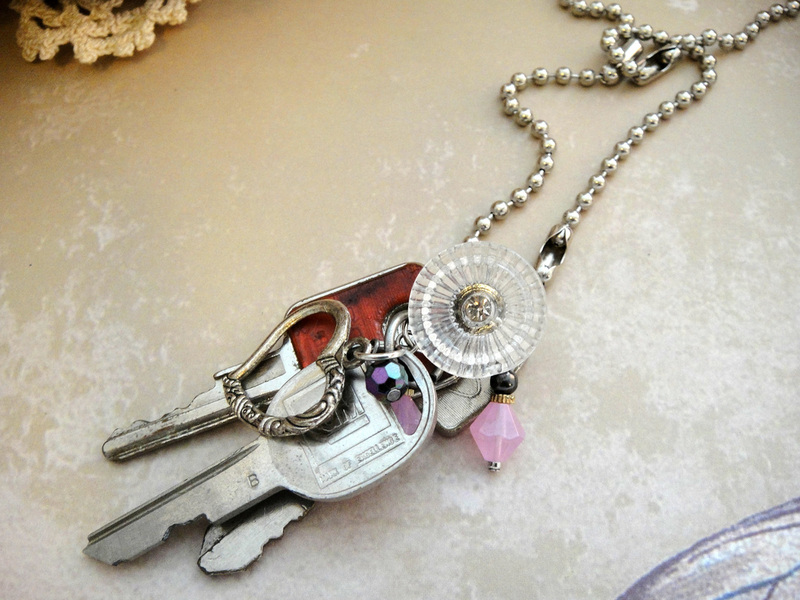 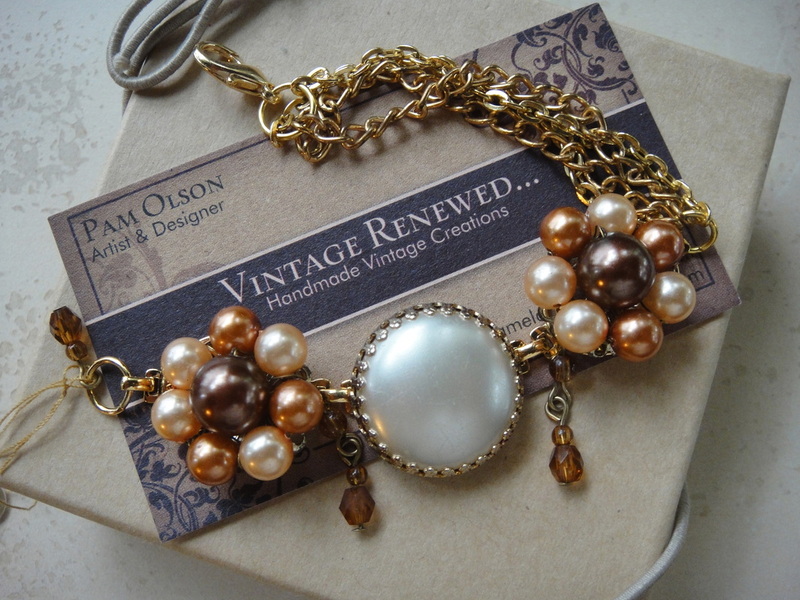 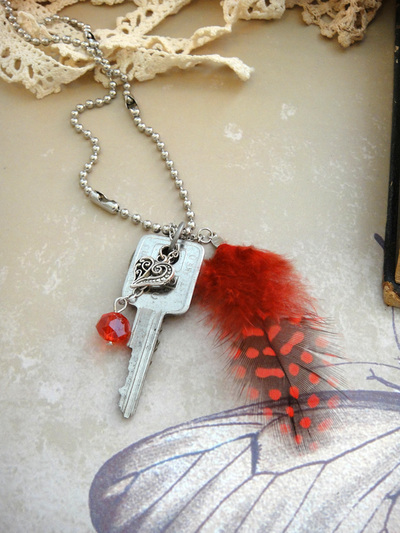 I also create pieces from vintage spoons, watches, old keys, trinkets, charms and beads! 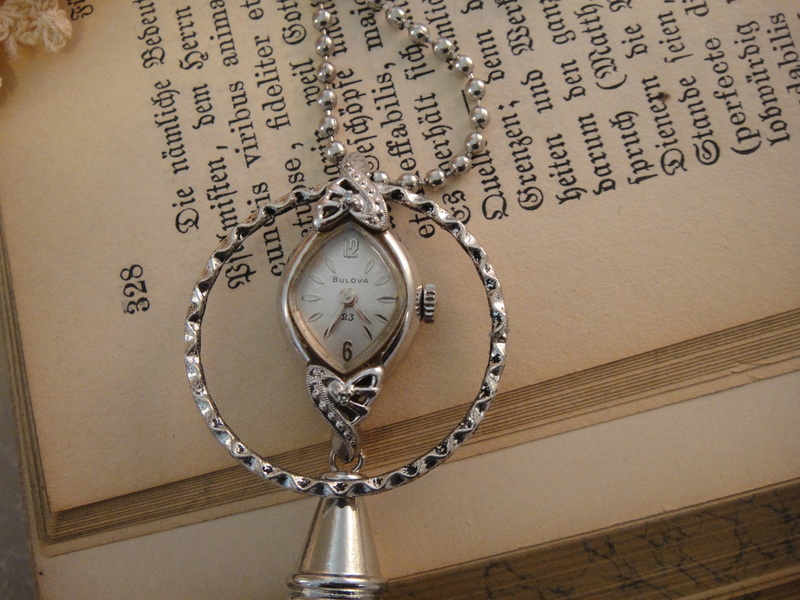 I use any bit of history I can find. There is something for everyone, each piece as unique as the person wearing it.